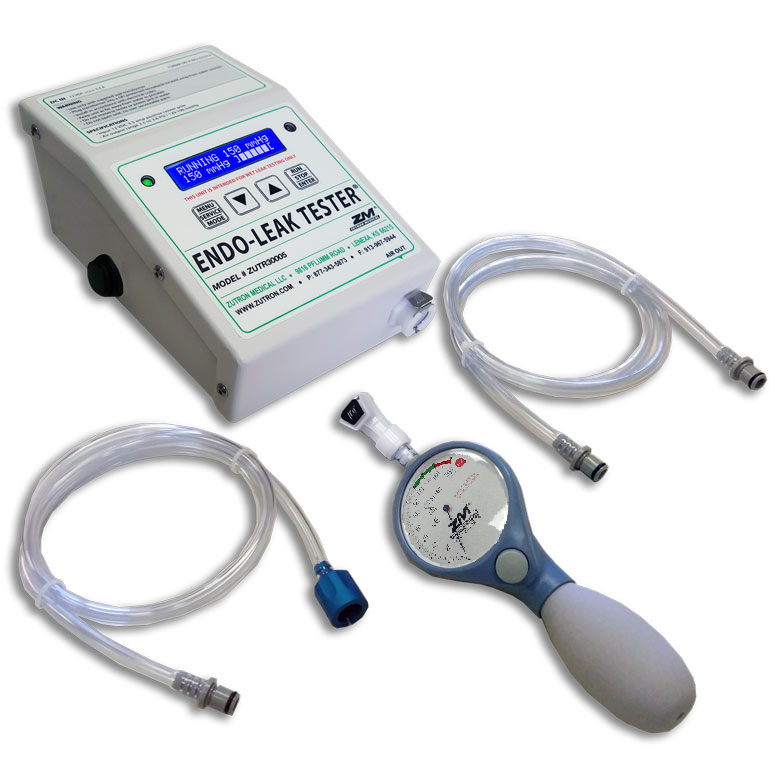 The Endo-Leak Tester Kit for Intuitive Surgical has all your leak testing needs covered. The kit includes our Endo-Leak Tester for wet leak testing endoscopes and our Hand Held Dry Leak Tester. The gauge on the Hand Held Leak Tester may also be used to calibrate the output pressure of the Endo-Leak Tester. The kit includes an Olympus scope adapter for use with both the wet and dry leak testers. Quick connections make it fast and easy to switch between different adapters.